While looking through the archives over at Diamonds for Dessert I stumbled across these fun Harry Potter themed party treats. I refuse to believe that I am the only one that is excited and a little devastated that it all ends next week. 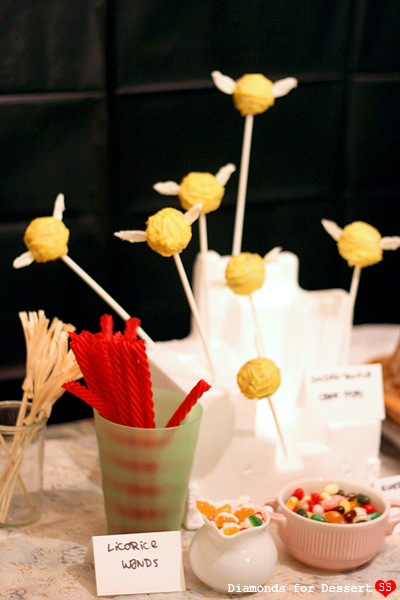 So if you need some cake pops to console yourself, these golden snitch pops are for you. My daughter has just started the Harry Potter series...she would love these! Awesome!